It is more than forty years since the West Indian off spinner Lance Gibbs snared his 308th victim and overhauled Fred Trueman to become the leading wicket taker in Test cricket. At the time the suggestion that another off spinner might, in Gibbs’ lifetime, lift the record to 800 would have seemed ludicrous. It says much for the way the game has changed that Muttiah Muralitharan claimed the record in the manner that he did. It perhaps says even more that although another 27 men have passed Gibbs’ mark, no West Indian spin bowler has got within the proverbial bull’s roar of Gibbs’ tally despite West Indies dominating the game for well over a decade following his retirement. One of the many good things about being young is the amount of time available for watching cricket, and despite only the BBC broadcasting the game in my youth there were still plenty of opportunities to watch Gibbs. He toured with West Indies in 1969 and 1973, and was part of the series of ‘Tests’ between England and the Rest of the World in 1970. In addition as he played for Warwickshire between 1968 and 1972 there were also chances to see him in the old Sunday League and Gillette Cup competitions. Watching Gibbs bowl was a mesmerising experience. Tall and thin he had a short bouncing run up to the wicket. Phenomenally accurate he was seldom collared, and usually got through an over in a couple of minutes. The best description of Gibbs comes from the pen of David Frith; Bulbous but dreamy eyes, close cropped hair and the loosest of gaits gave Gibbs the appearance of a New Orleans trombonist. Born in Demerara on 29 September 1934 Gibbs was ten years older than his cousin, Clive Lloyd. Both fell in love with cricket at an early age. Initially Gibbs was a leg spinner who would slip in an occasional off break. He eventually decided to stick to off spin when advised to do so by the former Surrey and England wicketkeeper Arthur McIntyre who spent some time in Guyana coaching. In his earliest days Gibbs was also a serviceable batsman, but he quickly decided to concentrate on bowling. The wealthier batsmen at his local club would encourage young bowlers in the nets by putting coins on the top of the stumps which they could keep if they disturbed them, and that soon became a useful source of income. Later captains like Frank Worrell would positively discourage Gibbs from spending too much time at the crease, the reasoning being that they didn’t want the long fingers that were the source of Gibbs’ skills being damaged by short pitched bowling. His captains didn’t hide Gibbs in the field however, and he became a renowned catcher at gully. Gibbs was still only 19 when he made his First Class debut for British Guiana against Len Hutton’s 1953/54 tourists. In an MCC total of 607 his figures were 41-8-126-2, so nothing spectacular although he would have been pleased with his two victims, Tom Graveney and Denis Compton. At that stage the main competition for Gibbs was the mercurial Sonny Ramadhin, but Gibbs got his chance at Test level against India and Pakistan in the late 1950s. He bowled very well, his first eight matches bringing him 25 wickets at an average of 25.32. Despite that he still found himself behind Ramadhin who played all five Tests against England in 1959/60. Both Ramadhin and Gibbs went to Australia in 1960/61. Gibbs had to sit out the famous tied Test but his time was coming. In the second Test, won by Australia by seven wickets, Ramadhin bowled just five overs. It was the mystery spinner’s last appearance for his country. Gibbs came in for the third Test at Sydney and, in West Indies 222 run victory, he played a leading role. In the first innings he took three wickets, ‘Slasher’ Mackay, Johnny Martin and Wally Grout in the space of four deliveries. His 5-66 in the second innings contained something similar as he reduced Australia from 191-2 to 202-6. In the fourth Test of the series Gibbs went one better. Mackay and Grout must have been getting sick of the sight of him as they were the first two victims (Frank Misson was the third) in only the second Test hat trick by a West Indian. ‘Slasher’ learnt his lesson well however as in the Australian second innings Gibbs went wicketless, and could not break a famous last wicket partnership between Mackay and Lindsey Kline that hung on for the best part of two hours for a draw. In the end a narrow two wicket victory in the last Test gave Australia the series, but there were another six wickets for Gibbs, now a permanent fixture in the West Indies side. His success in Australia attracted interest from English league clubs and Burnley of the Lancashire League signed Gibbs for the 1961 summer. Accrington, assisted by Gibbs’ West Indies teammate Wes Hall won the title, but Gibbs 90 wickets at 11.72 helped Burnley to the runners up spot. The most remarkable performance of Gibbs career is tucked away in the records of a series that is rarely remembered, that between West Indies and India in the Caribbean in early 1962. It was a one sided contest, the home side winning 5-0 and in each match having a day to spare. The Tests were scheduled to last six days, so all lasted five, which may be why some writers have wrongly suggested that had it not been for Gibbs the Indians would have escaped with a draw in the third Test. How easily the series slips the mind is well illustrated by Trevor McDonald who, in his 1985 biography of Clive Lloyd, asserted that prior to the 1984 series in England West Indies had never previously won a series 5-0. In that third Test Frank Worrell won the toss and invited India to bat. They managed 258 on the first day to which West Indies replied with 475. The home side spent well over two days compiling those runs which were scored at less than two runs an over as the Indian spinners fought hard. Orthodox slow left armer Bapu Nadkarni is one of the meanest to have played the game, in a 41 match Test career conceding his runs at a miserly 1.67 per over. On this occasion his figures were 67-28-92-2. He still wasn’t the most parsimonious Indian bowler however. Polly Umrigar, primarily a batsman, wheeled away with his off breaks and returned 49-27-48-2. India finished the fourth day on 104-2. The fifth morning saw the not out Indian batsmen, Dilip Sardesai and Vijay Manjrekar, bat through until lunch. There were only 47 runs added in the first session, but no wickets lost was the more important statistic. Worrell tried eight bowlers but none looked likely to breakthrough. It must have been tedious stuff. One of the few players involved to have mentioned the match in an autobiography, Rohan Kanhai, was deeply critical of the way the Indian batsmen failed to attack even a poor delivery. At lunch Gibbs’ figures were 38-23-32-0, proof positive of the attritional nature of the battle. Most must have expected the sixth and final day to be required, but in the event there was a remarkable capitulation. Beginning again straight after lunch Gibbs figures for the afternoon session were 15.3-14-6-8. From the moment Gibbs had Sardesai caught by Sobers at leg slip for a 392 minute 60 the Indian batsman were mesmerised. Turning the ball sharply Gibbs’ subtle variations of pace and flight backed up by excellent support in the field were the reasons for his success. In 1963 Gibbs returned to England as a member of Frank Worrell’s side that memorably took the Wisden Trophy. The series began with a big West Indian victory at Old Trafford, Conrad Hunte’s 182 the major contribution to West Indies 501-6 declared. It wasn’t quite enough as he had to go out in the second innings to score the single run his side needed to complete a ten wicket victory. Gibbs’ 5-59 and 6-98 were the decisive factor in the West Indian bowling effort. Another five wicket haul from Gibbs hastened England’s defeat in the fourth Test. The next stints in England for Gibbs came in 1964 and 1965 when he was contracted to Sunderland. One of the friends he made in the north east was the Sunderland striker Brian Clough. In between his two summers on Wearside Gibbs played in a home series against Australia. New captain Garry Sobers led his side to a 2-1 win to avenge the defeat of 1960/61. Gibbs was not so successful as previously, but made one major contribution to the victory. In the third Test at Georgetown he took 3-51 in the first innings and then in the second put a stranglehold on the Australians that they never looked like escaping from. His figures were 22.2-9-29-6. The zenith of Sobers’ captaincy career came in England in 1966. Whilst the English public enjoyed a victory in the FIFA World Cup the Test series had to play second fiddle. Sobers personally enjoyed a remarkable summer and as in 1963 the winning margin was 3-1. Once again Gibbs’ best effort came at Old Trafford in the first Test. West Indies were all out for 484. Unlike three years previously however they had scored enough to win by an innings. Gibbs’ figures were 5-37 and 5-69. He also took 6-39 in England’s second innings at Headingley as his side secured an innings victory there. A few months later Gibbs was in India with West Indies. Eight years earlier he had gone wicketless in his only previous Test in India. He was rather more successful this time, taking 18 wickets at 22.05 in the three Tests, West Indies winning 2-0. In the 1967 summer Gibbs came back to England. He had signed a three year contract to play for Warwickshire from 1968 and, due to the rules then in force he had to spend a year gaining a residential qualification. He and his family moved into a flat in Birmingham and remained there for the next four years. After 1966/67 the game at the highest level became a little trickier for Gibbs. The powers of Hall and Charlie Griffith were on the wane and both would be out of the side by the end of the decade. To make matters worse the talismanic Sobers, whilst still a major batsman, was no longer so effective with the ball. With that trio at their peak Gibbs had picked up quite a few wickets from batsmen taking liberties with him that they would not dare take against the others. When their replacements proved less impressive the roles reversed. Batsmen just looked to keep Gibbs out, and then score runs at the other end. Another inevitable result of this was that Gibbs, as the one reliable bowler in the side would be overbowled. Like all off spinners who really spin the ball Gibbs suffered from time to time with soreness and splitting of his spinning finger. In 1967/68 England won in the West Indies thanks to Sobers’ overly generous declaration at Port of Spain. Gibbs did well enough in the series in terms of wicket taking, but his average slipped to more than 30. In Australia the following year there were still 24 wickets in five matches, but the average rose to 38, and the wickets he took in New Zealand afterwards cost 45 runs apiece. He was still selected for the three Test tour of England that took place in 1969 but six wickets there at more than 52 runs each seemed to signal the end. In 1969/70 he spent a season with South Australia in the Sheffield Shield, taking 18 wickets at 35.11. India visited the Caribbean in 1970/71. The previous summer Gibbs had appeared in four of the five matches played by the Rest of the World against England. At the time these had full Test status, and the fact that Gibbs three wickets cost him 307 runs meant no eyebrows were raised when he was not selected to play against the Indians. The West Indies lost 1-0 and for the third Test they called up Gibbs. Not match fit Gibbs did not take any wickets and was promptly discarded again. Back in England Gibbs’ county career had also suggested he was in decline. He had done reasonably well without very often running through sides. In his last season however everything changed. He ended the summer with 131 wickets at 18.89. Only six men passed the hundred mark, but no one else went beyond 107. Quite how well he might have done had he not been carrying a groin strain for most of the summer is an interesting question. The main reason for his spectacular success, apart from simply bowling extremely well, was the change in the lbw law whereby batsman could no longer safely pad him away where the ball struck them outside the line of the stumps. Despite his achievements Gibbs three year contract was over and the September issue of The Cricketer carried the confirmation that he would be retiring from full time cricket to take up a job with the Guyanese Sports Council, although it was said he hoped to carry on playing in the Caribbean. 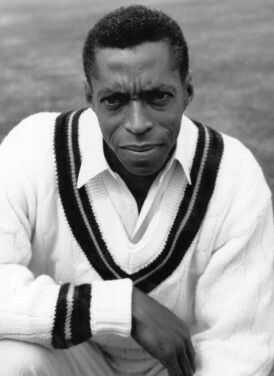 In the event although he had turned 37 the Lance Gibbs story had another five years to run and just three months later the magazine announced that the Guyanese Prime Minister Forbes Burnham had given Gibbs a special leave of absence to enable him to have one more summer at Edgbaston. After his outstanding English summer the West Indies selectors were persuaded to have another look and Gibbs was selected for the first two Tests of the 1971/72 home series against New Zealand. Three wickets for 287 would not however have kept a novice in the side let alone a man who was approaching his 38th birthday. It was something of a surprise therefore when Gibbs was selected a year later for the first Test against Australia. The additional summer with Warwickshire was not a repeat of 1971, so that cannot have been the reason for Gibbs selection. There is no doubt that West Indies cricket was at a low ebb so perhaps it was as simple as that, but in any event Gibbs certainly looked like a man who had been refreshed by his break. West Indies lost the series 2-0, but Gibbs return of 26 wickets at 26.76 was much the best of the West Indians and a place was his by right once more. Back to back series against England followed and Gibbs was an everpresent for the eight Tests. With Keith Boyce, Vanburn Holder and Bernard Julien the West Indies pace attack was much improved, and as with Hall and Griffith in days gone by that seemed to make Gibbs more effective. Next up for Gibbs and the West Indians was a long tour of the sub continent. They won 3-2 in India and drew both Tests in Pakistan. In two of the Indian Tests Gibbs took 17 wickets and was the match winner. In the other three he managed just four scalps, but all in all he bowled very well and, when conditions helped him, he took full advantage. In 1975 Gibbs was back in England with the West Indies as they beat Australia in the final of the first World Cup. In fact Gibbs played just once, in the group match against Sri Lanka. He bowled only four overs. After the World Cup Clive Lloyd’s side travelled to Australia for a six Test series. The professional way in which Ian Chappell’s men went about their business led to a 5-1 victory and, for a team that had started the series with high hopes, a distinctly crestfallen West Indian side. The big moment for Gibbs came in the sixth Test at the MCG when he dismissed Ian Redpath to take his 308th wicket and pass the Trueman record. With that rare moment of cheer for the West Indies supporters one of their number ran down onto the outfield from Bay 16 carrying a bottle of champagne to offer his hero a celebratory drink. No one on the ground can have been in any doubt about the legal position. The scoreboard carried a notice stating that trespassers onto the field of play would be prosecuted. Perhaps in the circumstances the transgression could have been overlooked, but after he returned to the crowd the police sought out the happy spectator. The disturbance that followed held up play for twenty minutes and grabbed bigger headlines than the setting of the new record. Sixteen spectators spent time in police cells as a result. There was one more wicket for Gibbs before the Test ended in another West Indian defeat to bring him up to 309. He ended his final series with 16 wickets at 40.75. Four of his teammates took their wickets more cheaply but none bowled anything like as many overs nor did anyone else manage to put any sort of brake on the scoring rate. In his account of the tour Frank Tyson wrote of Gibbs; he alone escaped injury and even when his aged and swollen spinning finger was raw and painful he stuck to his task with a perseverance that, had it been emulated by the other bowlers, would have made the series a much closer affair. Following their chastening experience in Australia West Indies entertained India for four Tests. The series is best known for the catalogue of injuries that meant in the final Test India were all out with five wickets down. Gibbs was available but not chosen as the selectors looked to groom a successor. Had they played the veteran it must be unlikely that India would have secured their remarkable win in the third Test by six wickets as they chased more than 400 to win. As it was the three spinners chosen, Albert Padmore (off spin), Imtiaz Ali (leg breaks and googlies) and Raphick Jumadeen (slow left arm), managed just two wickets between them. Gibbs had also made it clear that he was available for the 1976 tour of England. Lloyd had decided however that pace bowling and not spin was the future as far as he was concerned and Gibbs, despite the family connection, was not chosen. In a series made memorable by a very poor choice of words from England skipper Tony Greig the straight replacement for Gibbs, Padmore, played in just one Test in which he was called upon to bowl a mere three overs. As far as future West Indies team selection was concerned the die was cast. His cricket career over Gibbs stayed in Guyana until 1978 at which point, in order to give his children better opportunities, the family moved to Miami where Gibbs worked as a Regional Sales Manager for a major shipping company. His region was the Caribbean, so there were plenty of opportunities to keep in touch with the game and in 1990 he was given the job of managing West Indies and was in charge for the trip to Pakistan and the 1991 visit to England. After that it was back to Miami where the finest orthodox off spinner the Caribbean has produced now lives in retirement, aged 83.